These arc protective garments are manufactured with DuPont™ Protera™ fabric. 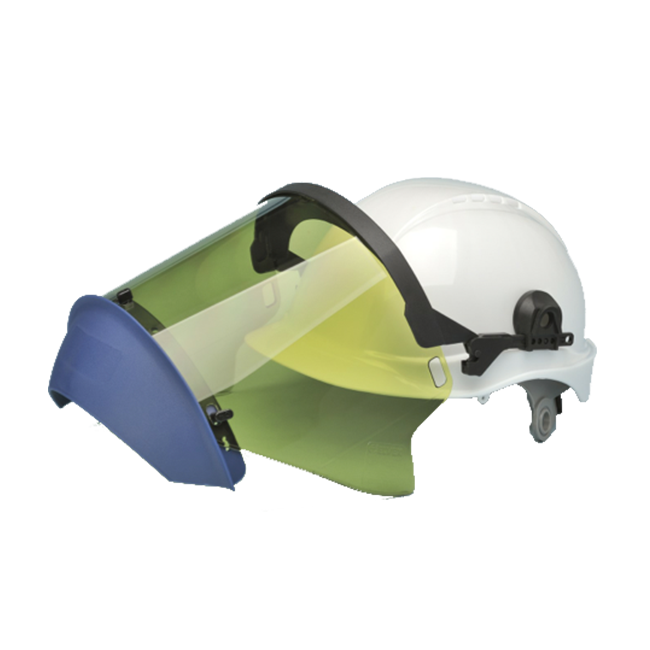 It is engineered to provide protection from electric arc hazards. Protera™ is inherently FR—this means that the FR protection will not wash out or wear away. It’s lightweight, durable, comfortable,and meets the needs of NFPA 70E requirements. Front closures, cuff and ankle closures feature hook and loop straps to provide additional protection. Outer surface of shield window is scratch resistant coated to last longer. The inner surface of the shied is anti fog coated for clearer visibility with a Visible Light Transmission (VLT) of 60%. Style selection (coat and pants or coverall) along with 12 cal/cm² face shield and hard hat, safety glasses and storage bag. Kits ending in 0 or 2 also include indicated class glove kit with includes insulating rubber gloves, protectors, and canvas glove storage bag — please indicate glove size when ordering.